Metal roofing is a preferred alternative for sloped roofs, especially when durability and weather resistance are primary concerns. The different systems are engineered not only to accommodate the slope of a structure’s roof, but also to provide pleasing aesthetics, since these roofs are almost always visible to people at street level. A metal roof can last a lifetime, whereas other materials like asphalt require re-roofing every 10 to 20 years. Metal roofing isn’t combustible or flammable, so it’s a low-risk, desirable roofing option. 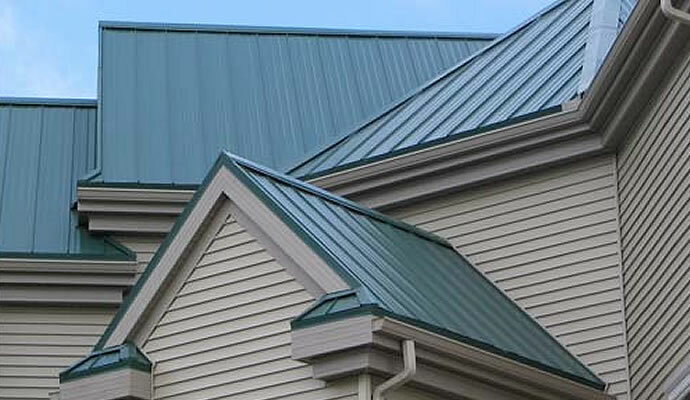 Metal roofing in light colors effectively reflects heat to reduce cooling loads in the summer and helps insulate during the winter to help lower your energy bills. Our company supplies a full range of metal types and colors. We will provide a long-lasting, lightweight and weather-resistant building cover that doubles as an architectural masterpiece. Contact us for more information on metal roofing for your commercial building. It will not take long for you to discover, when it comes to roof systems, especially metal roofing systems, Greystone Roofing covers it all.